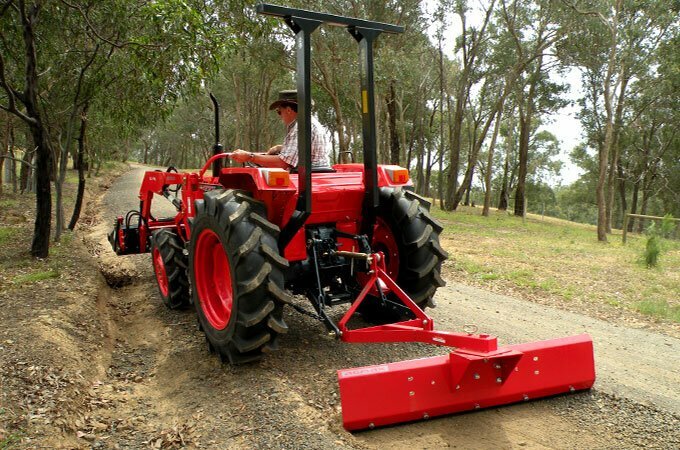 AGMAX grader blades are an essential implement for dirt road or track maintenance, levelling soil or clearing paths. 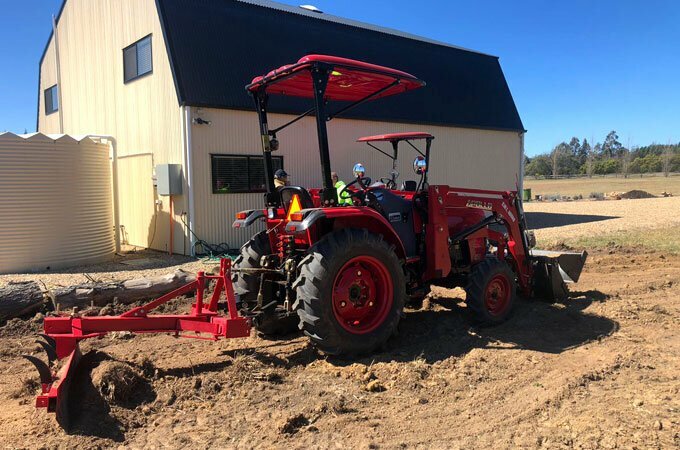 They are extremely useful for creating garden beds, drains and farm tracks, scraping mulch, forming fire breaks, cleaning up along fence lines, clearing scrub and repairing and maintaining driveways. 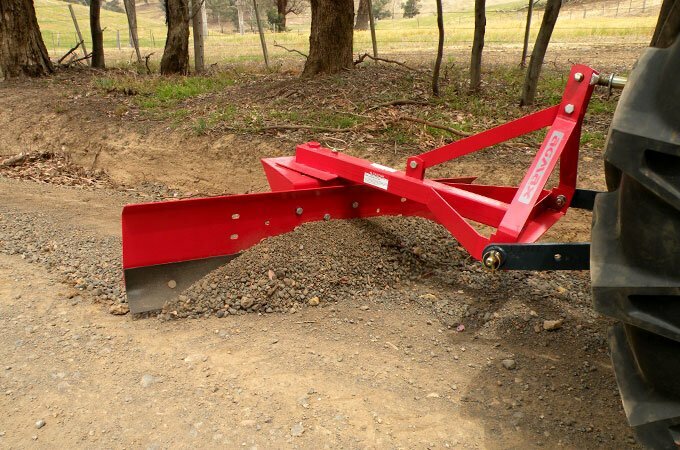 An AGMAX grader blade easily attaches to your tractor’s three point linkage. 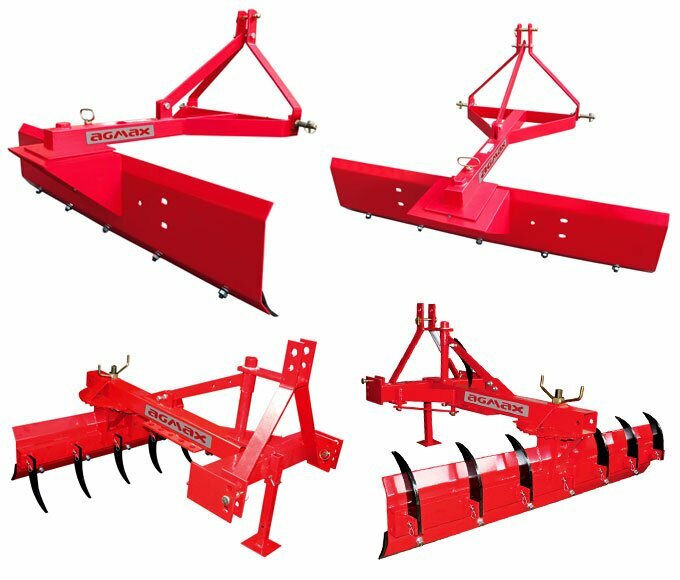 Grader blades will allow you to create and maintain culverts and rectify areas prone to rutting and corrugation. They attach to your tractor’s three point linkage and can be angled for steering road material. They are also reversible for grading or “smudging” and the reinforced cutting edge can be turned upside down for an extended lifespan. Spreading gravel with an AGMAX grader blade is much quicker than using a shovel. 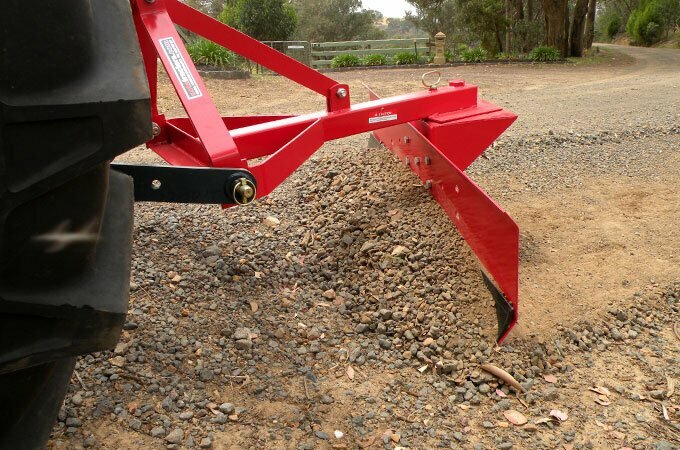 Levelling soil or preparing a path is easy with the AGMAX grader blade. From left to right, top to bottom: GB120, GB180, GB120R with 5 rippers, GB180R with 7 rippers. 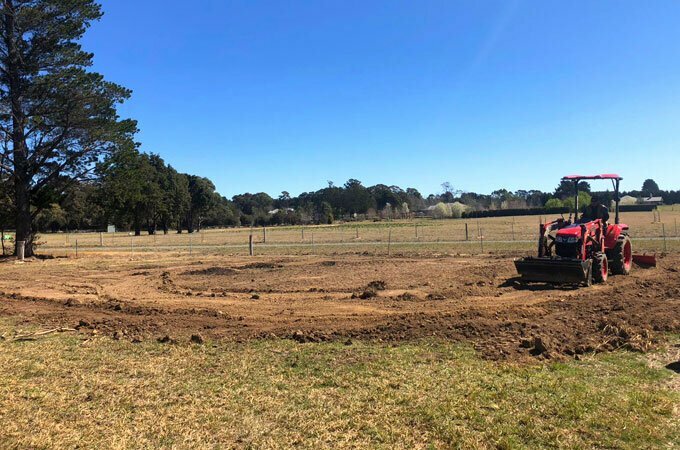 An APOLLO 454 grading with an AGMAX GB180R grader blade in NSW. Our new heavy duty grader blade suits more powerful tractors and features hydraulic slew and a wider blade. A heavy duty, hydraulic grader blade – GBHD250.